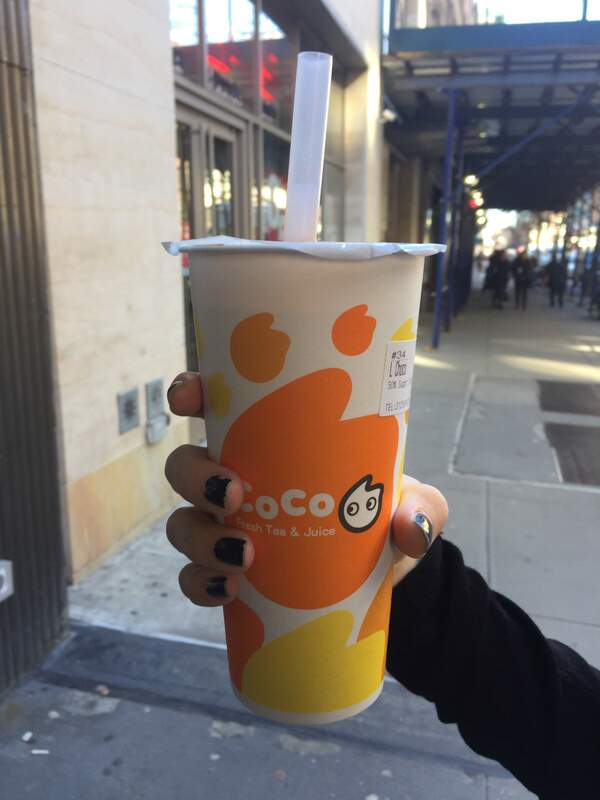 CoCo Bubble Tea stores are opening up all over the city now. Early on there was just one small shop in a closet sized space on 72nd St UWS. The chain said they were closing the store after acquiring a new larger space a few doors down. The UWS hasn’t seen the new store materialize and we’re getting annoyed. If it’s cold out, and I seriously wait for this, they offer a brandy bubble tea that’s to die for. Add some custard to that and you’re DONE! in the summer, get a Winter Mellon with ZERO SUGAR, bubble and lychee jelly. Why no sugar? Winter Mellon is sugar, adding sugar to this combo will put you into insulin shock.